Shorter employee assessments. That's what organizations tend to want these days. But they also do not want to give up any of the advantages of using longer, in-depth employee assessments that measure several competencies. I've outlined a few reasons that organizations usually express for wanting to utilize a short pre-employment assessment, and how they might affect results. One of the concerns driving the desire to use only one short employee assessment is a fear of applicants having negative reactions to a longer in-depth assessment. However, this does not seem to be the case. A recent research study examined applicant reactions to manufacturing, service, and professional assessments (Besl, Lawrence, & Kinney, 2016). These assessments were shorter screening assessments, extended screening assessments, and longer in-depth assessments. The research study found that the length of employee assessments does not appear to negatively impact the applicant reactions until the test is over 100 minutes. Thus, this fear of negative applicant reactions may not be warranted for using a longer in-depth assessment (under 100 minutes) as opposed to only using a short assessment. Another concern organizations express for wanting to use a short assessment is from the perspective of the job candidate. Many organizations want to be considerate of a job candidate’s time and are concerned that candidates might select out of the hiring process part-way through an assessment. However, if a job candidate selects out of the hiring process because of the length of an assessment, is this the type of candidate you would want as an employee? There is value in letting job candidates select out of the selection process so that the organization is spending the majority of time and resources on candidates who truly want to be a part of the organization. A related concern for organizations is providing the best experience for candidates in the talent war for fear the candidates may decide to pursue a different opportunity. This is a valid concern, but only using a short assessment may not always be the answer. Only using a short assessment might work well for some positions, but for other positions having a longer in-depth assessment that includes interactive simulations that are related to the job may provide a more engaging experience for the candidate. Job candidates may feel more engaged with the selection process experience and feel as if they were able to give the best possible impression of themselves, as opposed to a short assessment where they may feel they were not given as much of an opportunity to show off all of their talents. 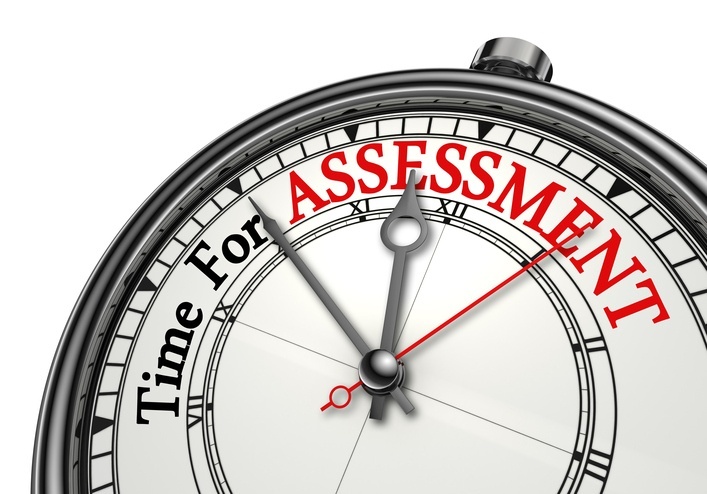 So When Should You Use Longer Assessments, and When Do Shorter Assessments Make Sense? There are cases where using a short assessment can be useful. For instance, a short 15-minute assessment may be useful in high-volume positions when the job candidate pool is extremely large and there is a need to decrease that pool by screening out the bottom candidates. Specifically, shorter assessments can show their value in screening out candidates when the assessment is used towards the beginning of the selection process and then a more comprehensive assessment could be used later in the process. In this case, there is value in having a longer in-depth assessment later in the selection process, as opposed to only having the short assessment. In order to create the desired shorter assessments, items are removed from the assessment, which may have a negative impact on the reliability or consistency of the measurement. This may also have a detrimental impact on validity or accuracy of identifying people who may be successful on the job. It is unlikely that you would get the full picture of a job candidate’s quality and potential to be successful on the job using only a short assessment. In sum, short employee assessments may be preferred by organizations, but there are trade-offs to consider when employing that strategy. Check out Select International’s White Paper “Evaluating Emerging Technology Trends with the Three Pillars of Selection Best Practices” by Amie Lawrence and Ted Kinney to read about the use of short assessments in terms of accuracy, utility, and fairness, as well as the use of other emerging technology trends such as big data, gamification, and mobile devices.